The Executive Group is the most senior administrative body for operational matters at the Northern Ontario School of Medicine. The Executive Group is responsible for ensuring that all operational, financial, and academic administrative aspects of NOSM function successfully. Dr. Roger Strasser is a leader in the global reform of health professional education. 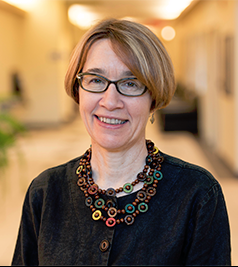 Recognizing the importance of context and community in medical education and research, Dr. Strasser has gained an international reputation for developing and refining novel strategies to train health professionals in and for rural communities. 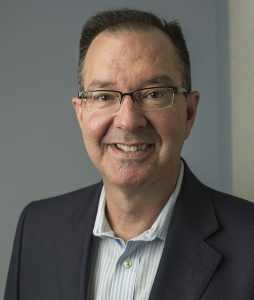 As a result of his formative work in his field, Dr. Strasser has become one of the world’s foremost authorities in rural, socially accountable medical education, as well as a sought-after speaker and advisor. In September 2002, Dr. Strasser was selected to lead the creation of the first medical school in Canada in over 35 years” the Northern Ontario School of Medicine (NOSM). NOSM is the first Canadian medical school established with an explicit social accountability mandate to improve the health of the people and communities of the region it serves. Thanks to its unique model of distributed, community-engaged medical learning, NOSM is supporting recruitment, retention, and socio-economic development in historically underserved communities across the geographically vast region of Northern Ontario. In ten short years, NOSM has grown from a little-known school in rural Canada to a leader that other medical schools across the world look to emulate” a testament to both Dr. Strasser’s leadership and the strength of the team that he has assembled. Prior to moving to Northern Ontario in 2002 with his wife of over 30 years, Dr. Sarah Strasser, and their five children, Dr. Roger Strasser was the Head of the Monash University School of Rural Health in Australia and had an international role with the World Organization of Family Doctors (WONCA) as Chair of the Working Party on Rural Practice from 1992-2004. Special Award for Outstanding Health Professional Educators (2014) for work in education that has had a strong impact on the improvement of health care. Member of the Order of Australia (2011) for service to medicine, through improving the health care of people living in rural and remote communities. Monash University Fellowship (2011) in recognition of his professional distinction and outstanding service. Ontario Hospital Association Small, Rural and Northern Award of Excellence (2006). Life Fellowship Award, Australian College of Rural and Remote Medicine (2006) for outstanding and meritorious service to rural and remote medicine in Australia. Monash University’s Roger Strasser Auditorium (named in 2005) pays tribute to his contribution to the development of rural medical education programs in Australia and around the world. Fellow, World Organization of Family Doctors (WONCA) (2004) in recognition of outstanding service to WONCA and family medicine around the world. Dr. Catherine (Cathy) Cervin grew up in southern Ontario, went to medical school at the University of Toronto, finished her family medicine residency at Dalhousie and then practiced full scope family medicine in Northern Ontario (Timmins and Sault Ste. Marie) for seven years before embarking on an academic career in the Department of Family Medicine at Dalhousie. While at Dalhousie, Dr. Cervin took on a number of leadership roles. She became Hospital Chief of the Department of Family Medicine at the Grace Maternity Hospital (now the IWK Women and Children’s Health Centre), she was Residency Program Director for Family Medicine for ten years, and most recently was the Interim Department Head of Dalhousie Family Medicine. As befits a generalist, her professional interests are wide-ranging and include social accountability, educating for comprehensive primary care, curriculum development, learning portfolios, communication skills and cultural competency. Her clinical interests include primary maternity care, the patient centred approach and chronic disease care. Dr. Moody-Corbett gained extensive experience in health and health research during her eleven-year post as Associate Dean of Research and Graduate Studies for the Faculty of Medicine at Memorial University, as well as during her time as a senior member of the Canadian Institutes of Health Research (CIHR). While at Memorial she also served as a member of the senior executive team providing advice and guidance to the Dean and faculty on research opportunities, as well as graduate training. She was a member and chair of numerous committees and was involved in a number of large grant opportunities, including successful CFI and Genome Canada grants, which led to a new multimillion-dollar genetics research and teaching facility at Memorial. As an independent investigator, she studied electrical properties in nerve and muscle. Dr. Moody-Corbett continues neuroscience research through collaborative work, studying the influence of diet and exercise on cognitive function during ageing. She has expanded her scholarly interests in the fields of ethics, health policy and patient-oriented research. 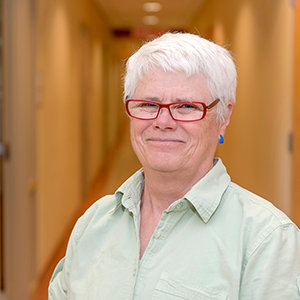 Dr. Moody-Corbett has a number of publications in biomedical science, ethics, education, and health research programming. She taught at the undergraduate and graduate level in physiology, neuroscience, research integrity, and grantsmanship. Dr. Musson served as the Director of the Centre for Simulation-Based Learning at McMaster University and was an Associate Professor in the Department of Anesthesia in the Michael G. DeGroote School of Medicine. He received his M.D. from the University of Western Ontario in 1988, and, following a rotating general internship at the University of Toronto, served with the Canadian Forces as a medical officer and flight surgeon with tours in Canada, Europe, and the Middle East. After leaving the Canadian Forces, he practised in the fields of urgent care medicine and community mental health in Toronto, Ontario before enrolling at the University of Texas at Austin to pursue advanced studies in Psychology. Supported by a Medical Research Council of Canada post-doctoral fellowship, he received his PhD in Psychology in 2003 from the University of Texas under the supervision of noted psychologist and safety pioneer Robert Helmreich. Dr. Musson’s graduate work focused on system safety, professional culture, and team performance in aviation, space, and medicine. His academic focus at McMaster has been simulation-based education, quality improvement and patient safety in medical education, the use of simulation in telemedicine, and the training and assessment of multidisciplinary care teams in undergraduate medicine and postgraduate residency training programs. David Musson is originally from Northern Ontario, having been raised in the town of Onaping and having attended secondary school in Sudbury, Ontario. Dr. Janice Willett has been in medical practice for 24 years. She is a medical graduate of University of Western Ontario, London, where she completed postgraduate training. in the specialty of Obstetrics and Gynecology. She has practised in Sault Ste. Marie, Ontario since 1992 with her husband who is also a surgeon. Dr. Willett has held many leadership positions including as medical director of Maternal Child Program and Surgery Program at the Sault Area Hospital in the past and currently serves on the Sault Area Hospital Foundation Board. She has many years’ experience of leadership at the Ontario Medical Association where she was President in 2007. Recently, she has served as Chair of the Canadian Medical Association (CMA) Committee on Education and Professional Development and currently is leading the development of a CMA policy on physician fatigue management. 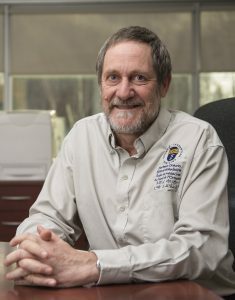 Dr. Willett was appointed Head of the Clinical Sciences Division at the Northern Ontario School of Medicine in 2010 and Chair of NOSM’s Academic Council in 2012. She participates on numerous other committees at NOSM. Mr. Ray Hunt has gained extensive experience in administration and health care throughout his career. 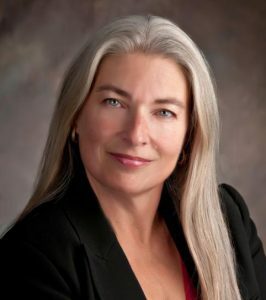 Since 2008, Hunt has served as the CEO of the Espanola Regional Hospital and Health Centre (ERHHC), overseeing the operations of an integrated health campus that include acute, emergency and long-term care, as well as a Family Health Team and seniors housing/assisted living. During this tenure, ERHHC saw positive changes with respect to program growth and improved access to medical services. Under his leadership, Hunt secured capital funding that enabled the redevelopment of the hospital’s Emergency Department and other areas of the facility. Prior to joining the ERHHC, Hunt spent 24 years working in the Ontario Public Sector on a variety of initiatives that focus on Northern and rural health and social services. As Director of Family Health Team (FHT) Implementation, Hunt was responsible for leading the creation of the FHT model in Ontario, including oversight of the province-wide implementation. Previous positions included managing the implementation of new physician payment models in Northern Ontario and oversight of the Northern Health Programs, including the Underserviced Area Program and the Northern Health Travel Grant. 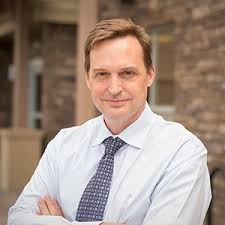 Hunt is also a former member of the joint Ontario Medical Association (OMA)/ Ministry of Health and Long-Term Care (MOHLTC) Physician Human Resources Committee, where he gained much insight into health human resources issues and capacity planning requirements to address future needs. Given his past experience managing the MOHLTC’s Underserviced Area Program (UAP), Hunt was appointed to the OMA/MOHTLTC Expert Panel to review changes proposed for UAP Reform. This work resulted in the new Northern and Rural Recruitment and Retention Initiative that was launched in 2010. Hunt is currently a board member of Health Force Ontario Marketing and Recruitment Agency, whose mandate includes the distribution of physicians and interprofessional providers to underserviced areas of Ontario.